In 1921 and 1924, the United States passed laws to sharply reduce the influx of immigrants into the country. By allocating only small quotas to the nations of southern and eastern Europe, and banning almost all immigration from Asia, the new laws were supposed to stem the tide of foreigners considered especially inferior and dangerous. However, immigrants continued to come, sailing into the port of New York with fake passports, or from Cuba to Florida, hidden in the holds of boats loaded with contraband liquor. Jews, one of the main targets of the quota laws, figured prominently in the new international underworld of illegal immigration. However, they ultimately managed to escape permanent association with the identity of the “illegal alien” in a way that other groups, such as Mexicans, thus far, have not. 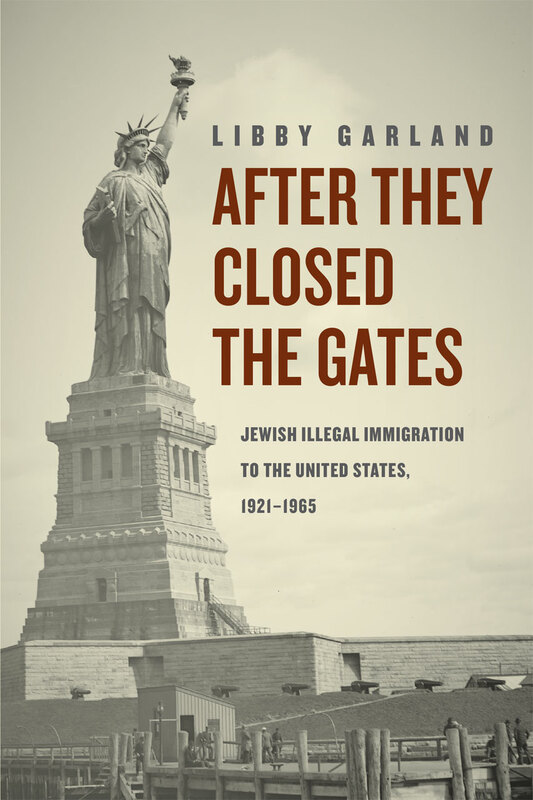 In After They Closed the Gates, Libby Garland tells the untold stories of the Jewish migrants and smugglers involved in that underworld, showing how such stories contributed to growing national anxieties about illegal immigration. Garland also helps us understand how Jews were linked to, and then unlinked from, the specter of illegal immigration. By tracing this complex history, Garland offers compelling insights into the contingent nature of citizenship, belonging, and Americanness. "Garland has performed a remarkable service in this book, which should be read by historians well beyond the small number who study the history of the Jews in the US. . . . After They Closed the Gates offers much." "Between the two world wars, tens of thousands of Jews entered the United States illegally. After They Closed the Gates brings to light the history of illegal Jewish immigration, a phenomenon hidden from view for decades. With analytical rigor Libby Garland’s breakthrough study presents a fascinating counterhistory of the immigrant saga."